Is your stock four wheel drive really a two wheel drive. One in the front and one in the rear makes two in our book. Let us change your open carrier to a limited slip. We can also change ratios to give you more pulling power or better gas mileage. 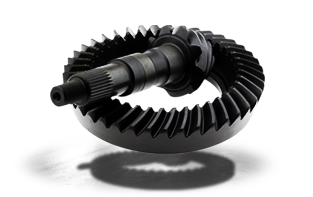 Front axle, rear axle, single or tandem...we can handle your differential needs. Dana/Spicer, Auburn Gear, G2, Rockwell/Arvin-Meritor, Eaton, Ford, Chevrolet, AMC/Chrysler, Toyota, Detroit Locker, ARB Air Locker, American Axle, and more.